On their first full day at Disney Land, Ryan wanted to get a caricature drawing done. Amanda wasn’t sure why he insisted on doing it at that moment in Magic Kingdom but his persistence won and they sat down for a drawing. The artist explained what she would draw but Ryan didn’t seem to understand her so he went up to the easel to clarify. Throughout the session, Ryan seemed deep in thought and Amanda wondered why he’d been acting so strange all of a sudden. Once the lady finished their drawing and showed them the picture, Ryan’s funny behaviour made sense. Under the portrait were the words Amanda will you marry me? Tears welled up in her eyes as Ryan got down on one knee and she said yes! Amanda had always loved looking through engagement photos done at Disney Land and Ryan wanted nothing more than to make her happy, and in the happiest place on earth no less! 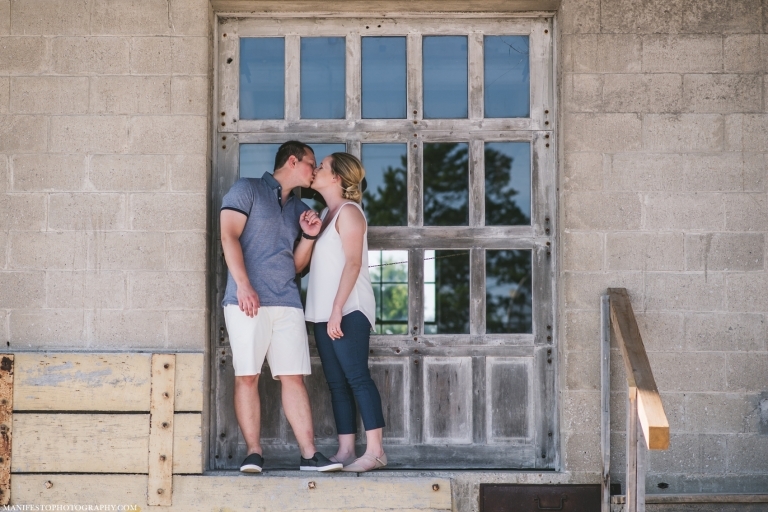 We decided to have our engagement session at The Old Harrow Mill. 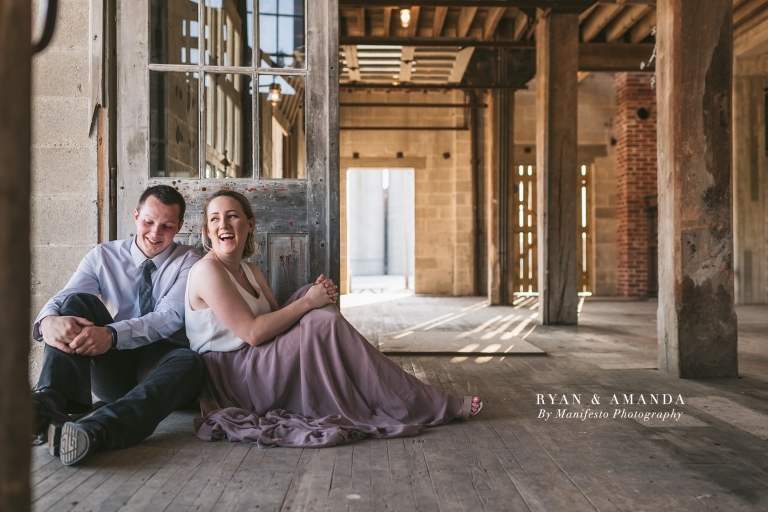 We explored the surroundings of the Mill with its fun vintage charm and ended our session on a romantic note, sunlight streaming through the slits in the window, Ryan and Amanda settling together as the day started to fade into dusk. Amanda and Ryan, congratulations on this next step in your lives together! 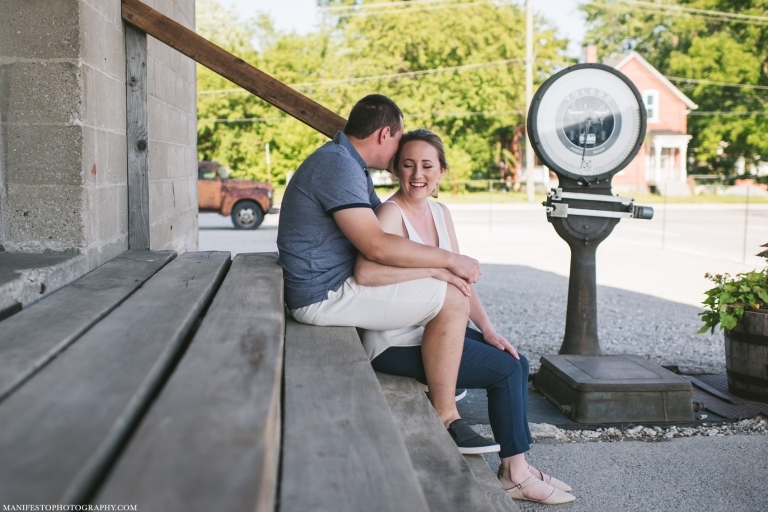 We had a great time getting to know you both during your engagement session and can’t wait for the fun and memories to be made at your wedding!